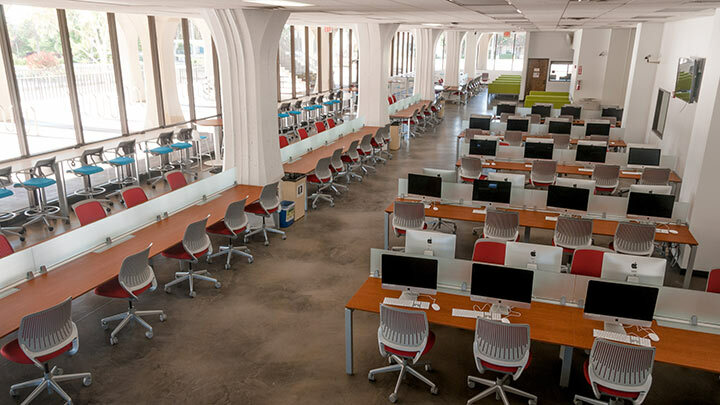 Help is available by phone (619) 594-3189 or in person at the Computing Hub Help Desk on the 2nd floor of Love Library. Respondus LockDown Browser has direct support for students. Open a help ticket below. General info is below, including a link to download the SDSU-specific version of the LockDown Browser. See where and how to add funds to your SDSUcard. Get charged at these multiple phone charging stations. Adobe Creative Cloud is licensed for use on up to 2 computers. Students with valid SDSUid credentials may purchase an Adobe Creative Cloud subscription for $25 per year from the OnTheHub online store. Please read the instructions on how to purchase an Adobe Creative Cloud subscription. Office 365 is licensed for use on up to 5 computers. Log into portal.office.com with your SDSUid credentials, and click on the button labeled "Install Office 2016" to begin the download. For printable guides with useful tips, shortcuts, and screenshots, visit the Office Quick Start. Note: Microsoft Access, Visio and Project are not included with Office 365 download. Students may download EndNote, Matlab, MiniTab, NVivo and X-Win32, with valid SDSUid credentials. Faculty may download Matlab and X-Win32 with their SDSUid credentials. Faculty and staff may request software (Adobe, EndNote, NVivo, SAS, SPSS, Zoom, etc.) from the ETCS Software Distribution Center, using their SDSUid credentials. Faculty may obtain Linux shell accounts for themselves and their students on the Edoras server that include common Linux applications, compilers, databases, and Apache web server. ROHAN was shutdown on June 5, 2017. RohanCP and OU Campus now provide web hosting. Edoras provides Linux shell accounts. SDSUid provides student email. SDSU Computer Lab Mangers can find GoPrint support information and installation guides here.